Each year, the Federal Housing Finance Agency (FHFA) publishes conforming loan limits for all loans eligible for purchase and guarantee by government-sponsored entities Fannie Mae and Freddie Mac. The current limits are $424,100 and $636,150, or higher, depending on housing costs in U.S. counties or territories. Jumbo mortgages are simply loans that exceed conventional limits. 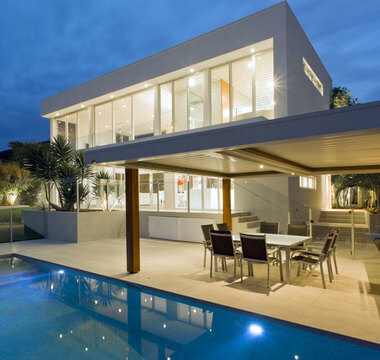 Jumbo mortgage are non-conforming loans designed for the purchase of single-family luxury properties or homes in high-cost areas. They’re only available for owner-occupied homes, not vacation or second homes, or investment properties. Without federal guarantees, lenders require unique qualifying and loan underwriting standards. Borrowers must have credit scores of 700 or above in order to lower their down payments to as little as five percent down. Income-to-debt ratios must fall between 36 percent and 43 percent, and borrowers must show liquid reserves equal to three to 12 months of mortgage payments, depending on the loan amount. Lenders may have other requirements, and the final loan product must meet the Consumer Financial Protection Agency’s standards for a “qualified” mortgage. For example, a borrower who puts five percent down may be limited to a $1 million loan, while another borrower obtains a $2.5 million loan with 10 percent down. With 20 percent down, a $3 million mortgage is possible. There are many advantages to obtaining a jumbo loan. Interest rates can approximate or equal those of conventional loans for qualified borrowers and can be deducted from federal income taxes on loans up to $1 million. As always, please consult your tax professional before making these decisions. Home prices have been rising for five years, and spring sales are outpacing last year, according to the National Association of REALTORS.® When it’s harder for buyers to find the perfect home, what’s a great strategy? Buy a fixer upper! There are real advantages to buying a home that needs work. Unloved or outdated homes don’t attract as many buyers, allowing you to mine the gold under the dirt. You’re getting the home at a discount compared with the rest of the neighborhood. You’re not paying top dollar for someone else’s improvements and you can make the home your own. You’ll wow your friends and family with the result. Shop for the best neighborhood you can afford. Look for the worst home in the best neighborhood. Usually that home is older, smaller and not as well maintained as other homes. You’ll build instant equity when you improve the curb appeal, so the home looks like it belongs with its neighbors. Ignore the cosmetics. Don’t stress over ugly paint, shag carpet or gingerbread trim. Your Berkshire Hathaway Home Services network professional can help you distinguish features that matter and which are easy to change. Consider the bones. You need to know whether or not you can open a kitchen to the den or add on a bathroom or other square footage. These updates can be costly but they add value to the home. Talk to your lender about loans that pay for remodeling such as FHA’s 203(k) program or Fannie’s HomeStyle Renovation Mortgage. The Pantone color of the year for 2017 is called Greenery. Described as a zesty yellow-green, Greenery represents springtime renewal and refreshment. 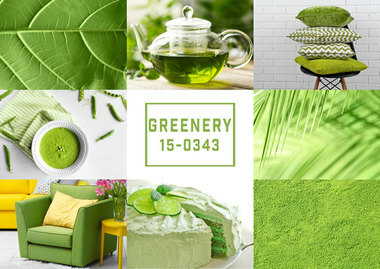 If you’re thinking of using green in your décor, you’ll enjoy learning more about the personality of this special color and why Greenery is a great color choice for our time. With such a dominant role in nature, the color green represents youth, growth and ultimately maturity. Green is often chosen as the color of money and signifies wealth and elegance. In some cultures, it has deeply religious significance. Choose green to promote harmony and well-being. Green comes in a rich spectrum of shades and tints, serving well as the main color for any décor, or as an accent to other color schemes. With tints of yellow, green grows sunnier and sharper as it does in Greenery. With blue tones, green turns cooler, more alpine. Think of Greenery as nature’s neutral. Greens are welcome in kitchens and dining rooms, as the most popular produce such as lettuce, limes, and peas are green. Pale greens are calming in bedrooms, and work well with blues and whites in bathrooms. You’ll find that green has a mood-lifting, nourishing effect, no matter which shade you choose. To introduce green more dramatically, choose a primary green, like the color on stoplights or in emeralds. Green means go, so it can be energizing, but keep in mind that such colors are best used only as accents. Express your healthy vitality by incorporating greens into your home. A recent poll on Houzz.com found that most people hate carpet, fluorescent lighting, wallpaper, vinyl floors and other things in their homes, so why turn off buyers with these won’t-haves? If your home is dated, you can do some quick and easy updates that will wow your buyers. Make it welcoming. You can’t underestimate the importance of curb appeal. Repaint where needed, but make sure the entry waves hello from the street. Clean, weed and stage your home from the sidewalk to the shrubs to the front door. Buy pots of flowers and a fresh new welcome mat. Make sure that’s not so much as a stray leaf or toy on the front yard. Make it cool. The new neutrals are a far cry from the yellows and beiges of the Mediterranean era, ‘90s jewel tones, ‘80s pastels, and ‘70s earth tones. Instead, repaint with cooler tones, like gray or icy Scandinavian whites and sky blues. Make it low-maintenance. 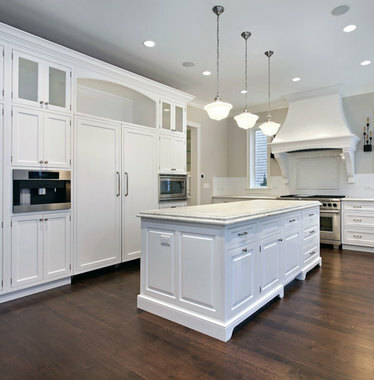 Replace worn carpet with a high-grade laminate floor that looks like wood, tile or granite. Replace countertops with easy-clean quartz. Upgrade your heating and cooling with a programmable thermostat. Change out yellowish light bulbs with long-wearing daylight LED bulbs. Make it show-ready. If you have popcorn ceilings, have them removed. Replace old appliances and dated fixtures in the bathroom and kitchen with new stainless or brushed nickel finish. One of the new touch faucets, an induction range, and an apron sink also add the wow factors you need to impress buyers. Originally from Ohio, Loren brings his Midwestern values to every interaction. He values integrity, trust and mutual respect when dealing with both clients and agents. He understands that every client he works with deserves only his best and that anything less is unacceptable. If you are looking for an expert advisor in the San Gabriel Valley and surrounding area that treats you more like a friend than a client, contact Loren Anderson today… Always striving to be Your Friend in Real Estate.